3D Archery has become quite popular. We have two archery ranges at the club. One is a 30 station 3D Archery course that winds through the woods. You shoot from various unknown distances at various sized 3D targets. There are scoring rings on each animal target. There are colored stakes at each station to shoot from. Traditional, Junior, Hunter Release, Top Gun stakes. The other archery area is a 60 yard practice field that includes an elevated tower to shoot from. You do not need to be an expert archer to enjoy the course. There various distances that are shot from, depending on skill level. Youth archers are encouraged to participate with their parents and friends. 3D shoots are held through out the year with the Tri-County 3D League. Check the calendar. 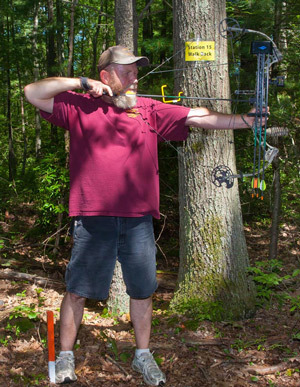 The Holbrook Sportsmen's Club has a practice archery range with six archery butts placed at 10yds, 20yds, 30yds, 40yds, 50yds and 60yds. The far right shooting lane is for crossbows, it has two targets on wheels that can be adjusted from 10yds to 50yds. We have a 12 foot high tower to shoot from that allows two shooters at a time. 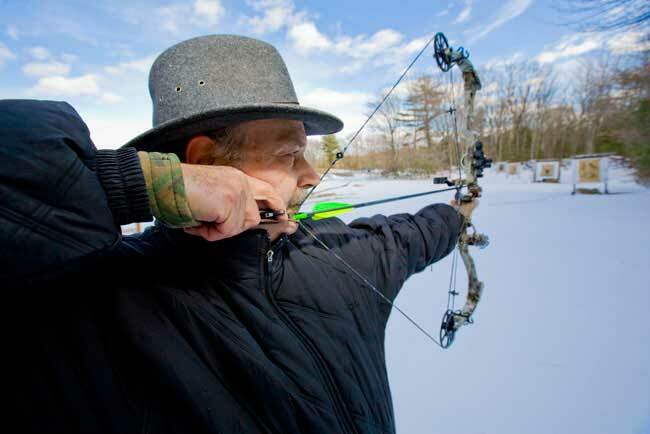 We also have a 3D archery course with 30 shooting stations, which we schedule one shoot per month. 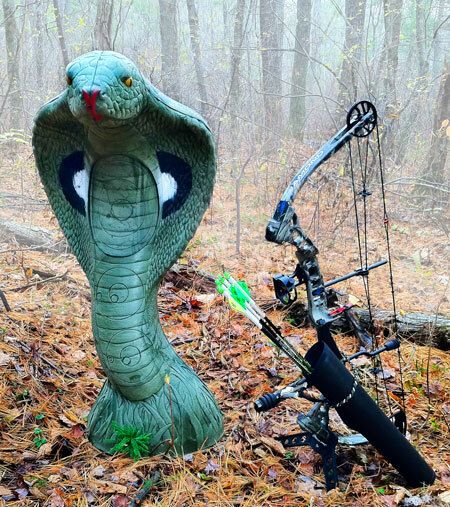 This is our first year in the Tri-County 3D Archery League. Please look at our schedule and come down and give it a try. 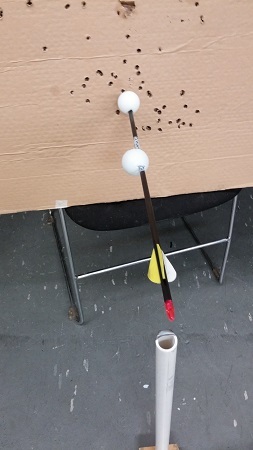 The first Friday Night of each month we have a indoor archery shoot in Range 1 from 7:00 pm til 10:00 pm with a $5.00 entry fee. At the start of this shoot we have a warm up period that includes different fun targets including ping pong balls hovering on a cushion of air or glow in the dark targets. We then play darts with bow and arrows. We take a short break around 8:00 pm for a bite to eat (included with $10 entry fee).